The Micrometrix™ Model W600 features a Touch Screen Color display with graphical trending and alarm functions. The W600 accepts a signal from the Streaming Current Monitor or Detector and can be mounted up to 1000 feet away. The Model W600 is compatible with all Micrometrix SCM and SCD instruments. 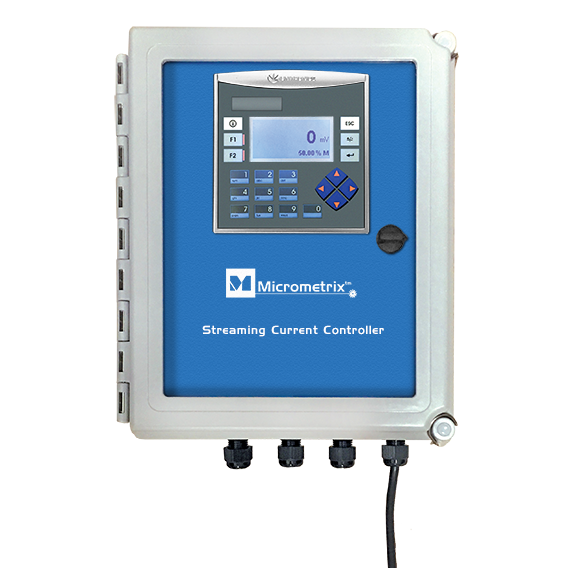 The Water Treatment Controller can be configured over a standard USB port. 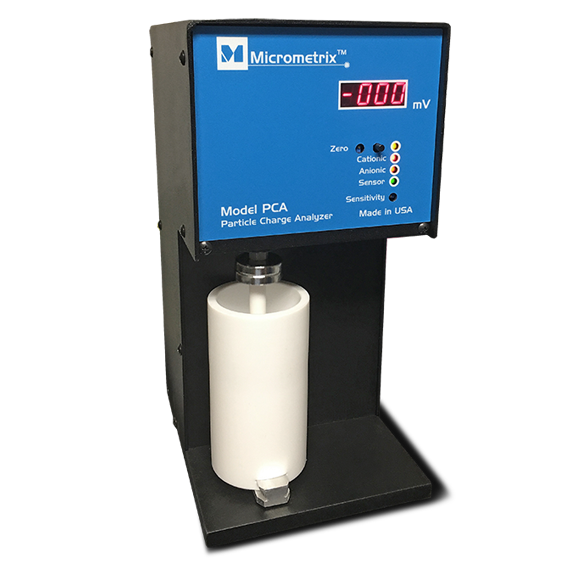 The PCA is a portable lab version of the streaming current monitor for determining optimum dosage and performing quality control. The PCA can be used to determine charge demand by a simple titration technique. The technique is used in the paper industry for determining cationic/anionic demand measurement and in water treatment for determining coagulant dose. Results can be obtained much quicker when compared with traditional jar tests. The Micrometrix Streaming Current Monitor (ie. Streaming Current Detector) is a “state of the art “ coagulant monitoring and control instrument. The SCM features a patented sensor design to provide years of trouble free service. The Micrometrix sensor probe is also “user serviceable”. The user can easily replace a disposable sleeve and piston within the sensor probe to restore accuracy and sensitivity. The W600 Water Treatment Controller features a backlit LCD touchscreen. All controller functions are easily accessible through user friendly menus. The universal controller is multichannel and can accept multiple signals from the SCM as well as other sensor types. The W600 includes multiple outputs and alarm functions. The control signal can be used for automatic chemical feed and dosage control. The Micrometrix™ Model SCC features a backlit LCD and keypad. All controller functions are easily accessible through user friendly menus. The controller accepts a signal from the SCM and outputs a control signal to a chemical feeder. The controller features graphical data trending, alarm functions and allows the user to customize parameters for the optional automatic cleaning system. The Streaming Current Detector / Transmitter Model SCD-T is designed to be used with the Streaming Current Controller Model SCC. It is also compatible with Process Controllers/Analyzers, PLCs, and SCADA. The Model SCD-T includes an integral streaming current sensor and electronics transmitter. Streaming Current Detectors have demonstrated the ability to optimize coagulant dosing and prevent plant upsets. 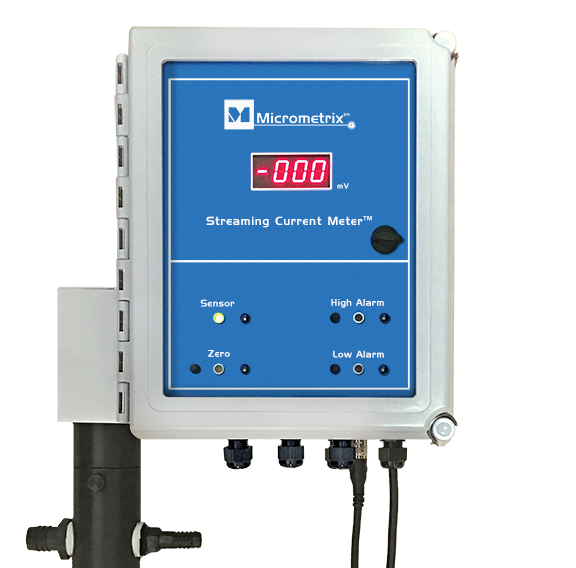 The Micrometrix™ Streaming Current Meter with Remote Sensor is a versatile system for monitoring and optimizing coagulant or polymer dosing. The Remote Sensor can be mounted at the sample point up to 1000’ feet away from the SCM display. 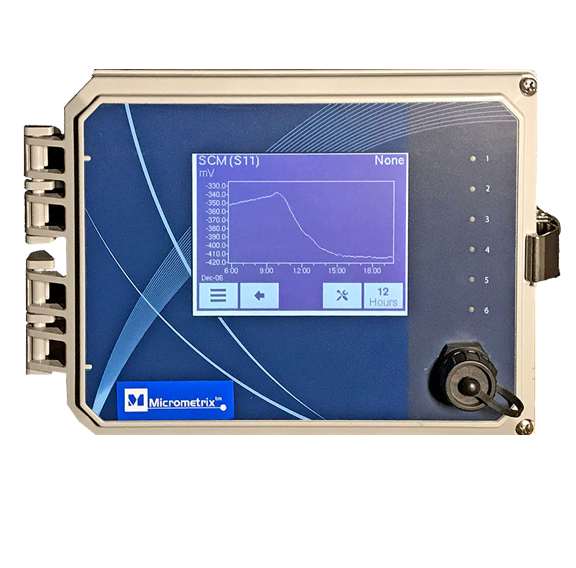 The Model SCM-2 features Self-diagnostics, High and Low alarms, Zero offset and Sensitivity functions. Contact Micrometrix to help provide the best solution for your requirements.